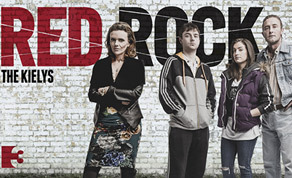 Amazon Prime has acquired the rights to TV3’s IFTA- winning soap ‘Red Rock’. The deal is understood to be over €1m and means that the show will be available to stream in the US for four years. ‘Red Rock’ was launched in January 2015 and received acclaim, last month winning Best Soap, Best Director (for Lisa Mulcahy) and the People’s Choice Award at the IFTA Gala Television Awards. Check out our interview with director Lisa Mulcahy here. The show also now pulls in an average audience of 190,000 in Ireland. Based around a busy Dublin Garda station in a fictional coastal town, ‘Red Rock’ charts the life and dramas of a community enveloped by a feud, through the eyes of those who police it. The show is produced by Element and Company Pictures for TV3 and stars Denise McCormack, Jane McGrath, Sean Mahon and Cathy Belton. Ciaran Tanham shoots the series, which was created by Peter McKenna with Gareth Edwards serving as the Executive Producer currently. IFTN interviews with Peter McKenna and Gareth Philips can be read here and here. ‘Red Rock’ airs twice weekly on TV3.